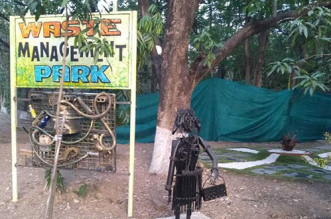 Mumbai: ‘Two Problems, One Solution’ that’s how commercial artist Dattadri Kothur from the sprawling metropolis of Mumbai likes to call his eco-friendly initiative. 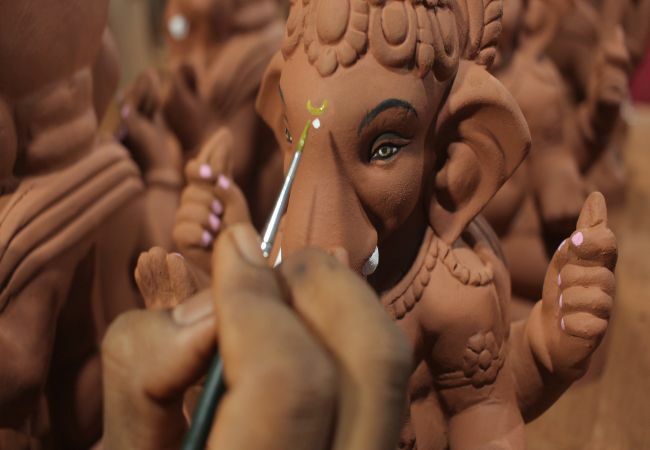 Ganapati idols that the 31-year-old makes aims to tackle air pollution and water pollution. Dattadri’s quest for environment-friendly Ganesh festival started young, at the age of 15, to be precise. In September 2002, when his teenage friends were busy savouring different delicacies and welcoming colourful Ganapati idols at home, Dattadri was busy calculating the amount of electricity being used in lighting up the streets and individual houses of Lower Parel. Looking for an answer, Dattadri approached his parents, who then told him that during Ganapati festival, households who bring Ganesha at home consume more energy than the ones who don’t, reason being, ferry lights and bulbs used for decoration. Ferry lights and bulbs are specially used for ten days in my neighbourhood to make the festival more colourful and bright. When I inquired about the amount of electricity wasted, I decided to do something different that would be harmless to the environment. I used radium infused bulb that would only glow in the dark. Though the charm of bulbs wasn’t as good as the lights, my family agreed to use it for ten days, Dattadri tells NDTV. 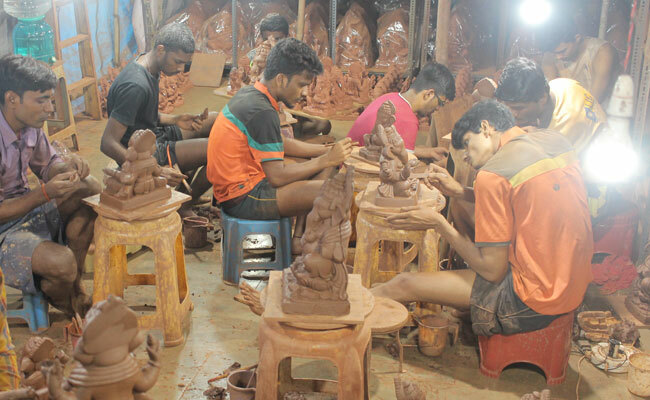 After experimenting with radium infused bulb to replace traditional lights, Dattadri came up with Ganapati idols made from clay and paper instead of using conventional non-biodegradable Plaster of Paris (PoP) that pollutes the water bodies when the idols are immersed. 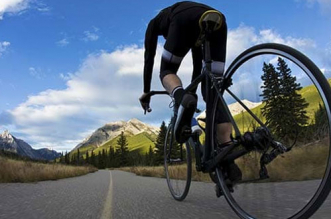 To further reduce the impact on environment of the festival, the following year. 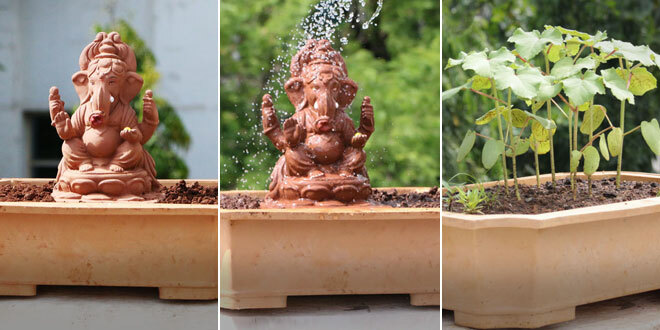 Dattadri decided to not pollute the already polluted water bodies further through idol immersion, instead he used greywater or waste water generated in his household to immerse his Ganapati idol. 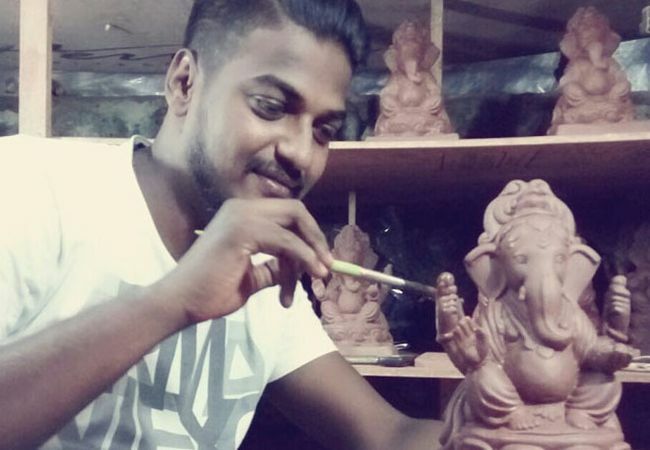 After receiving support from his friends and family for his green endeavours, Dattadri started his own venture ‘Tree Ganesha’ in 2015 to spread awareness and involve more people in his mission of celebrating Ganesh Chaturthi in an environmentally responsible manner. People from work place and home encouraged me to expand the initiative and put it out in the public domain. Initially I just made 300 idols of different sizes and distributed it among the people I knew. As the word spread on social media, I started getting orders and that is how I started my own venture, says Dattadri. The idols are made from red soil and the base of the idols are stuffed with organic fertiliser and seeds. One entire day is devoted to make one idol and this year the 15-member team has got an order of 2,000 idols. We have already started making the idols. We want to give each idol the same amount of love and affection and hence we dedicate an entire day to each idol, adds Dattadri. 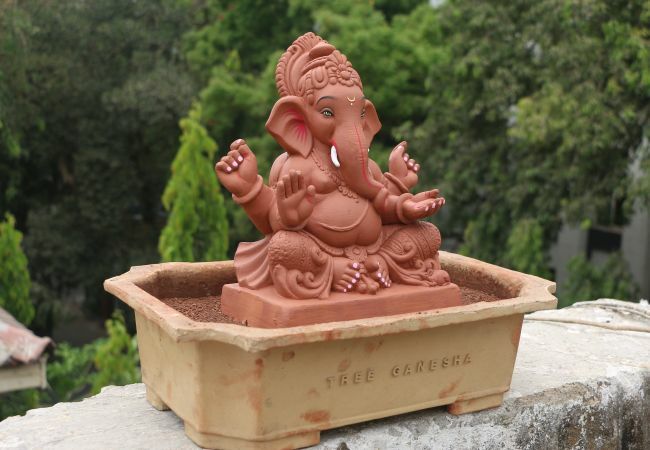 From 12 inch to 20-inch Ganpati, from seeds of tulsi, marigold, neem to ladyfinger, ‘Tree Ganesha’ has a wide range of idols. The idols are made from red soil and the base of the idols are stuffed with organic fertiliser and seeds. Depending on the size, the idols range anything between Rs 2,000 and Rs 4,000. At the end of ten-day festival, all one has to do is to immerse the idol in the plant pot. Within eight to ten days, the idols will dissolve, and the seeds will germinate into plants over time. Being a Maharashtrian, the festival of Ganapati is a huge celebration in my family. Every year I accompany my relatives to the beaches to immerse their idols and I see the damage it causes in the waters. The Plaster of Paris and chemical paints pollute water and take years to decompose. Seeing thousands of people harming the environment I decided to make it my life’s mission to at least prevent one lakh people from doing so. 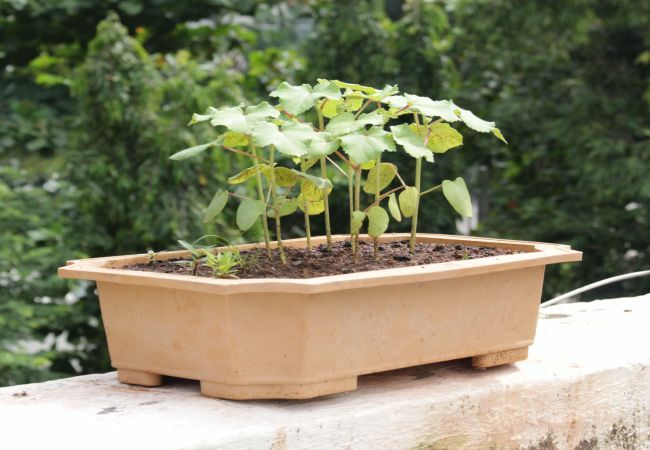 Besides, I will be able to say for sure that Mumbai’s green cover increased by one lakh plants even if the plants are in someone’s house, signs off Dattadri. Within eight to ten days, the idols will dissolve, and the seeds will germinate into plants over time.